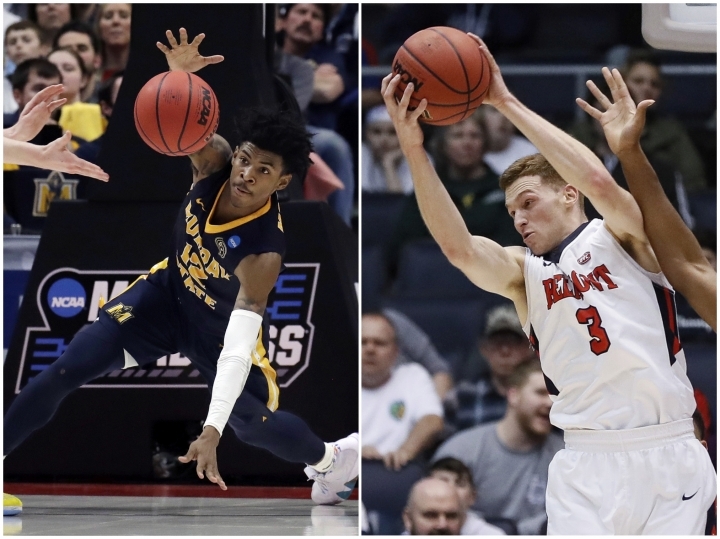 HARTFORD, Conn. — Powered by Ja Morant's no-look passes and Dylan Windler's step-back 3s, March Madness has been a bonanza for the Ohio Valley Conference. The league placed two teams in the NCAA men's basketball tournament for the first time in 32 years. 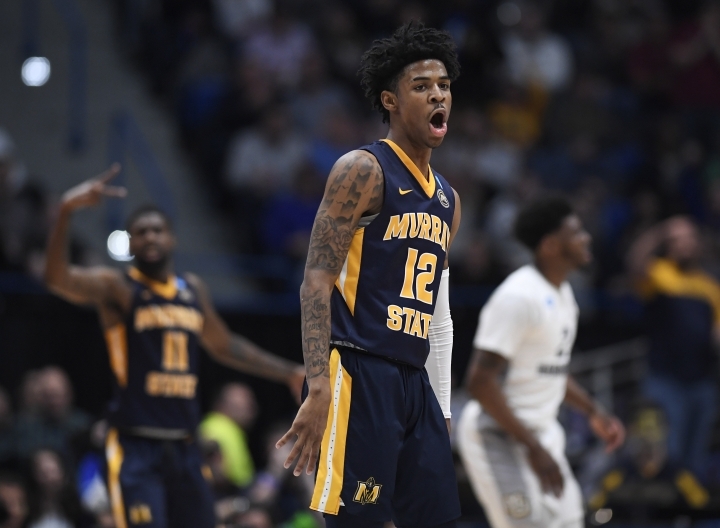 Then Morant's Murray State Racers and Windler's Belmont Bruins both won games during the first week of play, making them darlings for underdog-loving fans everywhere. That's over now — both teams lost their second tournament game. But the big payoff for the conference's 12 schools comes over the next six years, a windfall of at least $6.77 million that starts in 2020 with a $1.1 million payment from the NCAA. Every year, millions of dollars are distributed to 32 Division I conferences by the NCAA based on what teams get into the tournament and how far they advance. Last year it was $216 million. The hoops showcase is the centerpiece of the NCAA's revenue. And in recent years, the portion of those funds going to the five most powerful conferences in college sports has increased, according to an AP analysis of more than $3 billion in payments distributed from 1997-2018. For leagues outside the wealthiest, an upset or elusive at-large bid is like winning the lottery. And windfalls like the one heading toward the Ohio Valley have become even more important to mid-major hoops. "This is a moment in time we have and we have to take advantage of this moment," Ohio Valley Conference Commissioner Beth DeBauche said hours before Murray State was eliminated by Florida State on Saturday. "We will start as soon as this tournament run ends, talking about what this means and how we can build upon it." 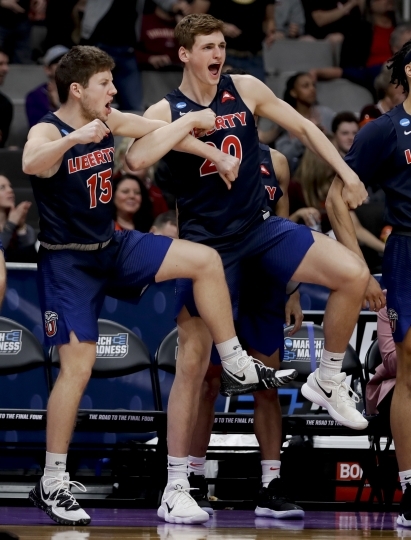 It all points to a long-term problem for mid-majors as power conferences stockpile wins and invites in the tournament: It takes revenue to build a program that can compete with the big boys. For those with less, it is becoming harder to generate more. "It is a vicious cycle," Atlantic Sun Commissioner Ted Gumbart said. The 2018 tournament brought in $844.3 million in television and marketing rights, the vast majority from a contract with CBS and Turner Sports to televise the games. That deal grows annually, its latest extension worth $8.8 billion over eight years, starting in 2024. Most of the money flows through the NCAA and back to 1,200 member schools, 351 of which field Division I basketball teams eligible to play in the tournament. The schools mostly re-invest in athletics, from scholarships for athletes in all sports — though not salaries — to coaching salaries, training facilities, stadiums, ballparks and arenas. From 1997-2018, the Big Ten Conference has been paid the most at $340 million, while the Southwestern Athletic Conference has earned $25 million, nearly the minimum it can earn given that all leagues make money from their teams that qualify automatically. Since massive realignment among college conference in 2012-2014, Power Five schools from the Atlantic Coast, Southeastern, Big Ten, Big 12 and Pac-12 have earned even more under the system of "units," the term used by the NCAA to tally performance payouts. How it works: Each distribution year is assigned a value for a single unit, which is then applied to bids and most wins earned by conferences over the previous six tournaments. The $216 million doled out last year amounted to $273,500 per unit for tournament results from 2012-2017. The Power Five conferences earned 47.5 percent of tournament units from 2002-13. From 2014-18, those same conferences — which also rake in billions from media rights deals, conference networks and postseason football — earned 55.3 percent of units. Some of that has come at the expense of the Big East, which was picked apart during realignment and reconfigured from 16 teams to 10. The Big East earned 8.3 percent of units from 2014-18 after earning 12.4 percent from 2002-13. Still, with a 12-year, $500 million television contract with Fox and no major college football to support, the Big East is in much better shape than others outside the Power Five. Units earned by the 26 other Division I conferences have fallen from 39.4 percent from 2002-13 to 36.4 percent since. The decline tracks with a falling number of at-large bids going to conferences outside the Power Five and Big East. "It's discouraging because the challenges are increasing on a year-to-year basis," said Doug Elgin, who has been commissioner of the Missouri Valley Conference for 31 years. "The gap in resources between the high majors and everyone else is accelerating at an alarming rate." The NCAA began its current system in 1991. It provided The Associated Press with unit values dating back to 1997, the earliest year for which it had reliable data. The AP calculated NCAA distributions, confirming figures since 2008 with detailed payouts provided by the NCAA and applying unit values to tournament results from earlier years. The AP also used formulas where provided by conferences to estimate how money was shared by schools, before expenses. Leagues distribute the funds in various ways, depending on the wishes of member schools. For mid-majors, the funds that come from unexpected tournament success are often used to improve basketball programs, to give teams a better chance to be the next Murray State or Belmont. "That additional money is absolutely significant," DeBauche said. "It also shapes the way the membership feels about the league. ... We support one another with the view that collectively we're going to get better as a league, and I don't want to understate the significance of that." The Missouri Valley Conference will collect $1.4 million in April and at least $8.45 million total from what Loyola University Chicago earned during its stunning run with Sister Jean to the 2018 Final Four. The conference is still cashing in from Wichita State's Final Four in 2013 as well as Creighton's recent NCAA appearances. Wichita State (American Athletic Conference) and Creighton (Big East) have both left the Missouri Valley, ripple effects from Power Five expansion. Elgin provided AP with MVC financial projections that show annual unit revenue falling from nearly $7.2 million in 2019 to $2.6 million in 2025. The MVC hopes to cushion some of that fall through NCAA changes that will redirect a small percentage of money toward academic targets. Conferences such as the Atlantic 10, Conference USA and the Mountain West could be in a similar situation. They regularly sent multiple teams to the tournament, recently their bids have dwindled and soon, so will their payouts. The Atlantic Sun Conference has one more payment of $840,900 coming for Florida Gulf Coast University's historic tournament performance in 2013, when the team dubbed "Dunk City" became the first No. 15 seed to win two NCAA games. FGCU's run was worth a total of $4.76 million — triple what the league normally gets from one tournament — and the conference banked another unit the next season when Mercer upset Duke. Conference members voted to invest the unexpected revenue into campus video production equipment so the league's games could be shown live on ESPN's streaming service, Gumbart said. It's a long way from SEC Network-level exposure, but Gumbart said having a consistent platform for fans to watch helps recruiting. "That was a difference-maker that would have been a three- to five-year project," he said. "And with that money we were able to say, 'Hey, rather than just give it to the schools and they use it on scholarships and it runs out, what can we do with a long lasting impact?'" America East Conference schools made similar investments. This year, the conference will start to cash in on UMBC's unprecedented upset of overall top seed Virginia last year, the first No. 16 seed to beat a 1 in the men's tournament, a one-game jackpot worth at least $1.68 million delivered by a commuter school known more for competitive chess than hoops. The investments also help sports that don't make money on their own stay competitive for recruits and titles, said American East Commissioner Amy Huchthausen. The Southern Conference hoped to create a fund that would incentivize members to improve their basketball programs after Steph Curry and Davidson generated an extra $4.2 million by reaching the Elite Eight in 2008, SoCon Commissioner John Iamarino said. Instead, the recession hit and the money was distributed back to its schools to simply help make ends meet. Davidson got an extra share as a bonus. With exit and entrance fees paid during conference realignment, the Southern Conference finally created that incentive program and Iamarino said it might have paved the way for the league's best season in recent memory. 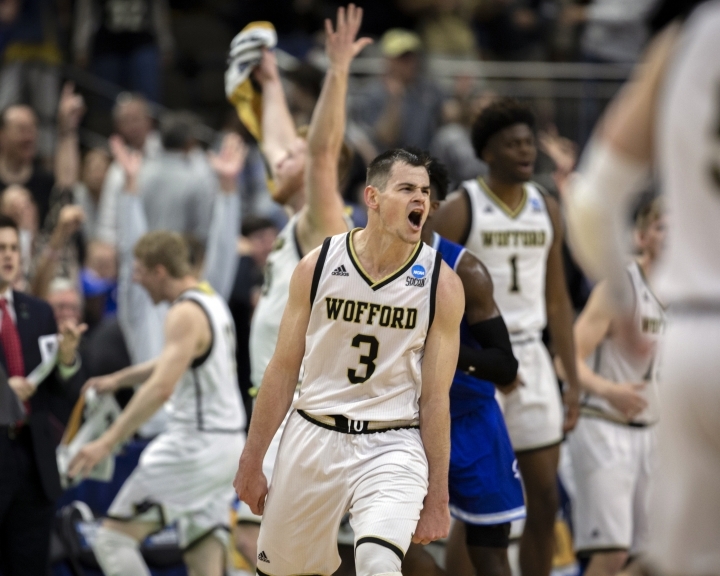 SoCon champion Wofford earned a No. 7 seed in the NCAA Tournament and runner-up UNC Greensboro just missed an at-large bid. Wofford then beat Seton Hall in first round before losing a close game to Kentucky on Saturday, yielding at least $3.39 million total. Iamarino said the extra money from Wofford's victory could lead the SoCon to restart the incentive fund. Conferences are more concerned than ever about occasionally landing an extra at-large bid, and not just hoping to spring a major upset to earn a bigger piece of the pie. "If that window of opportunity is shrinking for all of us .... it really becomes an elevated concern more than it probably has been in the past," Huchthausen said.